The Solicitors Regulation Authority (SRA) has recently issued a warning to personal injury solicitors regarding potential fraud in personal injury cases. The warning covers several types of fraud, including cold calling, acting on instructions without client approval and bringing claims without a client’s knowledge. As a member of the Ethical Marketing Charter, and a stalwart against fraudulent behaviour within the personal injury industry, Winn Solicitors strongly agrees with the SRA’s decision to issue this notice. While only a small number of firms use cold calling in the pursuit of new customers, it is a marketing practice which Winn Solicitors does not condone. 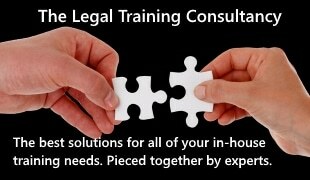 It creates a negative impact on the perception of personal injury law, undermining the outstanding work done by the majority of solicitors. We stand together with other eminent legal figures to demand the tightest possible regulation on cold calling for our peers across the industry. We have always believed that transparency is at the heart of the service we provide, and in light of the introduction of fundamental dishonesty, our fraud team are more stringent than ever in ensuring that we do not act on instructions without client approval, and do not bring claims without a client’s knowledge. We are one of a small number of claimant personal injury firms that use the Netfoil fraud database to indentify high risk business and prevent fraud from occurring. The specialist fraud team, led by solicitor Laura Miller, work hard to ensure that the firm meets the highest industry standards, and never compromises its integrity. Managing director of Winn Solicitors, Jeff Winn added: “We couldn’t agree more with the SRA’s statement regarding personal injury fraud. We passionately believe that stricter regulations must be put in place to prevent cold calling being used as a marketing tool, and other untrustworthy practices.